When Iraq invaded Kuwait on August 2nd, 1990, the world was shocked for seeing a relatively big country swallowing a smaller brotherly neighbor. However, many Arabs were neither surprised nor shocked due to their knowledge of the Iraqi claims of Kuwait. 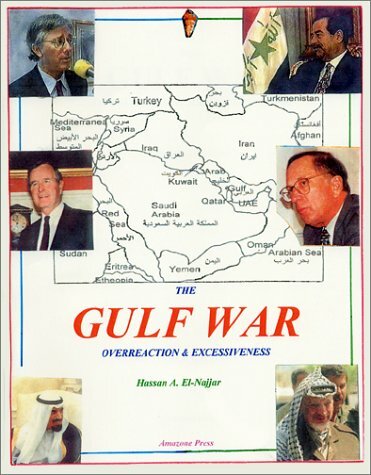 The Kuwaiti argument concerning causes of the Gulf War was adopted and publicized wholeheartedly by the United States and other coalition countries. At the same time, the Iraqi claims of Kuwait were ignored. This chapter attempts to bridge this gap by examining the crisis from a broader historical perspective that accounts for the Iraqi claims, as well. In particular, the relationship between Iraq and Kuwait will be investigated in order to analyze how these claims had contributed to the crisis. The present Al-Sabah ruling family of Kuwait descends from the Utub tribe, which belongs to a larger Nejdi tribal organization known as Anaiza. Three lineages of the Utub tribe: Al-Sabah, Al-Khalifah, and Al Jalahimah, left their original territory in Al-Aflaj, southeastern Riyadh, now in Saudi Arabia, around 1701. At first, they went to Bahrain, then to Qatar but the Huwaila tribe there forced them out of the small peninsula. The Utub tribe then headed north to Basrah where they asked Ali Pasha, the governor, to let them take refuge in his governorate (district). He allowed them to stay particularly because they maintained trade relations with the Basrah merchants. In 1716, they moved south to the present-day Kuwait after Shaikh Sabah, the highest ranking Utubi Shaikh (tribal chief), had asked the governor a permission to let the tribe settle there. agreed that administration would be left for Al- Sabah, trade would be conducted by Al-Khalifa, and fishing would be the profession of Al-Jalahima. Thus, Shaikh Sabah I became the shaikh of the whole Utub tribe in Qurain, in 1756. By that time, the area began to be referred to as Kuwait. It also began to acquire a strategic importance, particularly following the Persian attacks on Basrah. These attacks made Kuwait a safer trade center for Europeans. During the 1770s, Al-Khalifah left to the Bahrain islands after leasing them from Al-Matarish tribe. In 1782/83, they were asked to leave after they had stopped paying the rent. However, Al-Khalifah managed to resist the pressure to evict them from the islands with military support from Al-Sabah. In 1800, Bahrain was attacked by the Saudis and was annexed to Nejd. Al-Khalifah moved temporarily to Zubara, in Qatar, then they returned to Bahrain with help from their cousins, Al-Sabah. Thus, it is clear from the beginning that Kuwait was part of the Basrah governorate and the Utubi lineages including Al-Sabah were accepted as refugees in that Iraqi territory. More historical evidence shows that Kuwait was part of Basrah throughout the Ottoman rule of Iraq. In 1827, Shaikh Jabir I (See Appendix I.A) put the Kuwaiti fleet at the services of the Basrah governor. In 1836, he assisted the Ottoman forces against the uprising in Zubair, which is located between Kuwait and Basrah. In 1837, Kuwaiti forces participated with other Ottoman forces in attacking Muhammara, an Arab shaikhdom on the eastern coast of the Gulf. When Basrah was attacked in 1845, Kuwaitis joined other Ottoman forces to defend the city. Meanwhile, Kuwaiti ships continued flying Ottoman flags. As a reward for his loyalty, Shaikh Jaber I was given private deeds to some date plantations in the Fao Peninsula, to the south of Basrah. Moreover, when the governor of Baghdad, Midhat Pasha, launched his military expedition in the Gulf in 1871, Shaikh Abdullah II supported his military effort. As a result, he was rewarded with the Ottoman title of qaim maqam (a deputy of the governor). This meant that, officially, he would report to the governor of Basrah as his superior. In 1875, a new Ottoman administrative structure for southern Iraq was created according to which Basrah became a larger administrative entity, a vilayet. The new vilayet included Basrah itself, Kuwait, Amarah, Qurna, and Nassiriya. All of these, except Kuwait, are still Iraqi territories. However, that administrative structure was not the only fact that provided Iraq with one of the strongest bases for its claims of Kuwait. Throughout the nineteenth century, the rulers of Kuwait used to pay an annual tribute to the governor of Basrah in the form of 40 bags of rice and 400 Frasilah of dates. In return, they were granted a dress of honor, each year. Shaikh Abdullah II ruled Kuwait as a qaim maqam, a deputy, of the Basrah governor until his death in 1892. His brother and successor, Shaikh Muhammed, also ruled Kuwait as a qaim maqam until he was killed by his half-brother, Mubarak, in 1896. Muhammed took Yusuf Bin (son of) Abdullah Al- Ibrahim, who was an Iraqi from Shatt Al-Arab, as his close advisor. This angered his half-brother, Mubarak, who felt abandoned. However, Muhammed was supported whole-heartedly by his full-brother, Jarrah. In 1896, Mubarak killed his two half-brothers, Muhammed and Jarrah, in order to become the ruler of Kuwait. This usurpation of power was and still not unusual among members of the ruling families of Arabia. Actually, it is the only way for an ambitious individual in these families to displace the other, who is occupying the top position in the country. The probability for such usurpation of power increases if the ambitious individual has less or no chances of succession. In the case of Mubarak's ascent to power, the British played a major role in preparing him to come to power and in protecting him and his heirs, afterwards. This has become an important feature of the British imperialist policy in Arabia. Rulers had to be pro-British or their rivals will be supported and encouraged to displace them. Britain showed interest in developing its relations with Kuwait from the outset of establishing the rule of Al- Sabah family, in the 18th century. Shaikh Abdullah I, who ruled between 1762 and 1812, allowed the British to build a trade center and keep a group of Indian soldiers as guards. However, his successor Shaikh Jaber I, who ruled from 1812 to 1859, was not interested in maintaining trade relations with Britain. Therefore, he rejected the British offers of flying the British flag on Kuwaiti vessels and maintaining presence in the trade center. Shaikh Sabah II, who ruled from 1859 to 1866, followed the same policy. Sabah's sons, Abdullah II (1866-1892) and Muhammed I (1892-1896) were loyal enough to the Ottoman government that they refused to develop unusual relations with Britain. By that time the European capitalist competition over the ailing Ottoman Empire became more severe. Britain was growing more impatient concerning the pro-Ottoman policies of the Kuwaiti Shaikhs. Therefore, the British found in Mubarak their best opportunity to control Kuwait. The confluence of interests between Mubarak and the British led to the British support for Mubarak's usurpation of power. He felt that he was left behind as a half-brother of Muhammed and Jarrah. He complained that the Secretary of the Treasury, Yusuf Al-Ibrahim, was the actual ruler of Kuwait. Moreover, he believed that he was mistreated by his half-brothers because of Yusuf's influence on them. As a result, Mubarak spent most of his life outside Kuwait city, in the desert, raiding and looting. He traveled to India and spent some time in Bombay. There, some British agents gave him large amounts of money that allowed him to lose happily in gambling. In order to get their loans paid back, the British agents convinced Mubarak to end his brother's rule and become the shaikh of Kuwait himself. They even prepared the armed campaign that enabled him to achieve that goal. On May 17, 1896, Mubarak left the desert heading towards Kuwait city, accompanied by his sons Jaber and Salem together with a group of loyal followers. When he was given a permission to enter his brother's palace, he divided his followers into three groups. He had to kill his brother, Shaikh Muhammed. His elder son, Jaber, had to kill his uncle, Jarrah. His younger son, Salem, and the others had to occupy the gate from inside to prevent anybody from getting out and kill the guards if they try to interfere. The operation was carried out as planned with the exception of some difficulties caused by Jarrah's wife who tried in vain to defend her husband. In the following day, Mubarak addressed the people saying that it was God's will that his two brothers died the night before. He declared himself the new shaikh and people neither said nor did anything to challenge him. Yusuf Al-Ibrahim and children of the slain shaikhs managed to take refuge in Basrah where they pleaded their case to the governor. They described Mubarak as a tool in the hands of the British and asked the Ottoman authorities to help Saud Bin Muhammed restore his usurped office as a qa'im maqam of Kuwait. They were unsuccessful at the beginning because the governor of Baghdad did not support them. He felt insulted, as they did not plead their case to him instead of the governor of Basrah who was inferior to him in rank. He even supported Mubarak's argument that the killer was Yusuf Al-Ibrahim. This resulted in giving Mubarak the title of qa'im maqam of Kuwait in 1897. Nevertheless, Mubarak was still feeling insecure because his rivals were still alive in Basrah. Therefore, he asked the British for protection twice in 1897 and 1898. The British were unwilling at that stage to raise any Ottoman suspicions and they saw no threats to their interests in the area at that time. Therefore, they rejected his demands and advised him to stay under the Ottoman sovereignty. However, when other European nations showed interest in Kuwait, the British changed their position. In 1898, Russia became seriously involved in a project of building a railroad linking Tripoli (in Lebanon now) with Kuwait. At the same time, Germany was as seriously seeking the Ottoman Sultan's approval of the Berlin-Baghdad railroad for which Kuwait was the southern terminal on the Gulf. The British Political Resident in the Arabian Gulf, M.J. Mead, was instructed by the Viceroy of India, Lord Curzon, to sign a protection agreement with Shaikh Mubarak, on January 23, 1899. According to the agreement, Britain promised to protect Kuwait from outside attacks and recognized Mubarak and his heirs as the legal rulers of Kuwait. Mubarak was also given an annual salary of 15,000 rupees. In return, he agreed not to deal with foreign nations without approval from Britain (See Appendix 1.B). The protection agreement proved to be invaluable to Mubarak and his heirs as the British came to their rescue every time they were attacked afterwards. Yusuf Al-Ibrahim did not waste his time. He convinced Hamdi Pasha, governor of Basrah, to head a large alliance to restore Kuwait from Mubarak. The alliance included Shaikh Qasem Al-Thani of Qatar, Shaikh Muhammed Al-Rashid of Hail, and a group of loyal followers of the slain shaikhs. Mubarak sensed the danger and started the war by a pre-emptive strike on the Rashidites at Sarif, in 1901. He was defeated but Britain assured him of protection. In response to Mubarak's attack on its allies, the Ottoman government instructed the governor of Baghdad to restore Kuwait by force. However, the Pasha of Baghdad did not support the idea of using force. Instead, he went to Mubarak and offered him to become a member of the Consultative Council in Istanbul or to live in any Ottoman city of his choice with a salary. When Mubarak refused to leave Kuwait, he convinced him to show loyalty by behaving as an Ottoman qa'im maqam. Mubarak accepted and saved himself from an imminent Ottoman attack. However, Mubarak demonstrated his disloyalty when he refused to allow Ottoman troops to be stationed in Kuwait, in the same year (1901). This gave the Ottoman government in Iraq an excuse to start considering Kuwait as a usurped territory and Mubarak as a rebellious shaikh. From that time on several Iraqi attempts were made throughout the twentieth century to restore Kuwait. The first attempt was in 1901, just after Mubarak's refusal to accept Ottoman troops in Kuwait and two years after signing the protection agreement with Britain. The Basrah-based Ottoman troops supported by Shammar tribesmen, followers of Muhammed Al-Rashid, attempted to restore Kuwait. However, they withdrew without fighting mainly because of the intervention of the British naval forces and the return of Muhammed Al-Rashid to his own territory after hearing news of rebellion there. The second attempt to restore Kuwait was in the following year, 1902. It was led by Yusuf Al-Ibrahim and Hamud Bin Jarrah, Mubarak's nephew, supported by members of the Sharaifat tribe. They sailed in two ships from Dourah on Shatt Al-Arab and landed at Ras Al-Ajuzeh, to the east of Kuwait city. There, the armed boats of the British ship, Lapwing, discovered them and engaged with them in a bitter fighting. The battle resulted in capturing the ships but Yusuf, Hamud, and some of their followers made it back to Basrah using few boats. Thus, the second Iraqi attempt to restore Kuwait also failed as a result of the British support for Mubarak. Following the battle, the Ottoman and the British governments agreed to maintain the status quo in Kuwait, which relieved Mubarak from the outside threats. In order to show its support for Mubarak after these two attempts against him, Britain sent Lord Curzon, Viceroy of India, to visit Kuwait in 1903. It also appointed the first British political Agent to Kuwait, S. G. Knox, in 1904. As a gesture of gratitude towards the British, Mubarak agreed to lease them a plot of land about two miles to the west of Kuwait, between Bandar Al-Shuwaikh and the city of Kuwait. In return, Britain agreed to pay him an annual salary of 60,000 rupees, assured him its recognition that Kuwait and its territories belonged to him and his heirs after him, and that it would defend him in times of danger. The Kuwaiti territory was drawn as a circle with a 40-mile radius, with Kuwait city as its center, Khur Al-Zubair as its northern border, and Al-Qurai'in as its southern border. These borders were decided according to the 5th article of the not ratified Anglo-Ottoman agreement of 1913. The article states that the Kuwait territory includes the islands of Warbah, Bubayan, Mescan, Failakah, Um Al-Maradem, Auha, Kubber, Qaruwah, Al-Maqtah, and their adjacent islets. Thus, according to the 1913 no ratified agreement, Bubayan was considered part of the Kuwaiti territory. However, the island was still part of the Iraqi territory until the beginning of World War I hostilities. On November 3, 1914, the British government urged Shaikh Mubarak, in a letter, to attack Um Qasr, Safwan, and Bubayan in order to disturb the Ottoman military effort. These incidents support the Iraqi claims of the Bubayan Island, which surfaced again in the 1970s and the 1980s. Mubarak participated in the British military efforts against the Ottomans and their allies in the area until his death, in 1915. He was succeeded by his eldest son, Jaber, who died in 1917. Jaber was succeeded by his brother Salem who ruled Kuwait until his death in 1921. Shaikh Ahmed Al-Jaber succeeded Shaikh Salem and ruled Kuwait until 1950. The World War I ended with the defeat of the Ottoman Empire and the division of its territories among the victorious European powers. This ended the hostilities between Iraq and Kuwait. However, tensions continued on the form of border disputes. When Iraq itself fell under the British occupation, Britain found it necessary to settle border disputes between the territories under its control. The British Political Resident in the Arabian (Persian) Gulf, Sir Percy Cox, held a conference in Uqair, Saudi Arabia, in 1922, for this purpose. He used the 1913 not ratified Anglo-Ottoman Agreement in drawing the common borders of Kuwait, Saudi Arabia, and Iraq. The Iraqi claims of Kuwait did not stop after the Uqair Conference. The 1913 Anglo-Ottoman agreement could not be abiding to Iraq because it was never ratified. The Iraqi government launched a continuous media campaign against Shaikh Ahmed Al-Jaber. King Faisal I, the first King of Iraq criticized the British occupation of the Arab states, including Kuwait. When he died in 1933, he was succeeded by his twenty-one years-old son, Ghazi. King Ghazi was even more outspoken for the cause of Arab unity than his father. He was more direct in criticizing the shaikh of Kuwait and his British protectors. Britain protested that Iraqi policy but the King's media campaigns against the shaikh of Kuwait did not stop. Tensions increased between the king and the British occupation authorities so that when King Ghazi was killed in a car accident on March 14, 1939, the Iraqi people suspected that the British were responsible for his death. Demonstrations against the British spread all over Iraq and the British Consul in Musol was killed during one of them. King Ghazi was succeeded by his son, Faisal II, who was only four-years old. Therefore, the throne was placed under the guardianship of Prince Abdul Ilah. The Iraqi Prime Minister, Noori Al-Sa'id, was pro-British. Therefore, he was not interested in continuing the media campaign against Shaikh Ahmed Al-Jaber. However, the Court Minister, Rashid Ali Al-Kilani, was an Arab nationalist who disagreed with Noori Al-Sa'id on his policy towards the British. In February 1941, Al-Sa'id resigned to allow his rival, Al-Kilani, to become a Prime Minister. The British wanted the Iraqis to fight with them against Germany and Italy, in World War II. Al Kilani rejected the British demands and led the Iraqi military resistance to the second British occupation of Iraq, in May 1941. During the fighting, Arab volunteers from various Arab countries, including Kuwait, came to fight with the Iraqi army against the British. Following Al-Kilani's defeat, Noori Al-Sa'id became a Prime Minister again. This resulted in that the Iraqi media campaigns and assistance to Kuwaiti nationalists declined until the Iraqi military coup of 1958. On June 19, 1961, Kuwait and Britain signed a friendship agreement that replaced the protection agreement of 1899 thus leading to the independence of Kuwait from Britain. On June 25, 1961, Iraq declared its intention to annex Kuwait claiming that it was an Iraqi territory before the protection agreement. The former Iraqi President, Abudl-Karim Qassem, moved his troops to the borders in order to restore Kuwait following the British withdrawal. To prevent that, Britain sent 5,000 troops to the borders between Iraq and Kuwait. This British move stopped the Iraqis until the Arab League sent 3,300 troops from Saudi Arabia, the United Arab Republic (UAR), Sudan, Jordan, and Tunisia to replace them. As the leader of Arab nationalists, Nasser found himself in an awkward position. He sent the UAR troops to stand against an attempt to unify two Arab states while he was an outspoken advocate of Arab unification. Therefore, he had to defend his position. He said that he was determined to end the British presence in the Middle East. He argued that the Iraqi attempt to invade Kuwait would give Britain an excuse to come back to the region. Thus, for the third time, Britain was there to protect Kuwait from Iraq. This time, the British interests in Kuwait were much more important than at the turn of the century. By late 1950s, the ruler, Shaikh Abdullah Al-Salim, had invested $90 million in the London stock market, becoming the market's largest individual investor. Moreover, the British government owned one-fourth of the Kuwait Oil Company (KOC), and Britain imported about 40 percent of its oil needs from Kuwait. The crisis ended by accepting Kuwait as a member of the Arab League, on July 20, 1961, then as member of the United Nations Organization on May 17, 1963. Britain. The statement also referred to the Arab unity, the corner stone of Nasser's inter-Arab policy, as "a historic eventuality." On October 1963, the Iraqi Prime Minister (then), Ahmed Hassan El-Bakr, recognized Kuwait's independence and sovereignty, and approved its membership in the Arab League and the United Nations. However, the Iraqi Parliament never ratified El-Bakr's executive decisions and the Iraqis continued their claims of Kuwait as an Iraqi territory. On March 20, 1973, the Iraqi troops occupied the Kuwaiti border police station, Al-Samitah. In return for withdrawal, Iraq demanded to annex or lease the islands of Warba and Bubayan in order to become a Gulf state. Eventually, the Iraqi troops withdrew under pressures from the Soviet Union and the Arab states. During the Iran-Iraq war of 1980-88, Kuwait supported Iraq financially and allowed Iraqi forces to use its territories to launch attacks on the Iranians, particularly on the Kharg Island. Kuwaitis also sold oil for Iraq. However, Iraq accused Kuwait of unauthorized use of the Iraqi Rumaila oil fields, which are located on the border between them. Following the death of Shaikh Salem in 1921, members of Al-Sabah family elected Ahmed Al-Jaber as the Shaikh of Kuwait. The tradition necessitated that people would support whatever Al-Sabah family decided. However, the Kuwaiti people chose to say something different this time. They were fed up with fighting against Nejd, which they attributed to the personal rule of shaikhs. Therefore, they told Al-Sabah family that they would accept the new shaikh only if he accepted to consult with a council of the people. They put their ideas in a document that they called a "charter." They demanded to have a say on who is going to be elected by Al-Sabah family for the office of the shaikh. They also demanded that the shaikh should be the head of the proposed consultative council (Majlis Al-Shura). Moreover, they demanded that the government should be run by people from Al-Sabah family as well as from other families (See Appendix 1.C). Shaikh Ahmed Al-Jaber was more forthcoming than what people expected. He agreed to separate the executive and the judiciary branches of the government from each other. All criminal cases would be tried before Islamic law courts and the Mufti's decision would be final in appealed cases. This separation of government branches transformed Kuwait from a shaikhdom to a state where written laws replaced traditions and personal rulings of the tribal shaikh. Shaikh Ahmed Al-Jaber also agreed to seek advice outside Al-Sabah family in all internal and external affairs that concerned the country. Moreover, he agreed that every Kuwaiti had the right to present a suggestion to the shaikh. A consultative council of twenty-one members was elected with Hamad Abdullah Al-Saqr as its chairman. The council rarely met before it was dissolved by the Shaikh. However, this democratic precedence inspired Kuwaitis to elect ten members to the municipal council in 1934. When the Shaikh dissolved the newly formed educational council in 1936, its members influenced the municipal council to resign. In June 1938, a delegation from the Kuwaiti Arab nationalist movement met with Shaikh Ahmed Al-Jaber and gave him a memorandum reminding him of his earlier agreement of sharing power with the people. This led to holding elections for the second council, which was called the Legislative Council, in the same year, 1938. The fourteen-member council was dissolved soon and a third council was elected in December of 1938. The new council was composed of twenty members, including seven nationalists who argued for the unification with Iraq. The Arab nationalists challenged Shaikh Ahmed Al-Jaber seriously in 1938/39 when they wrote a draft of a new constitution. In the opening statement, they stated that Kuwait would enjoy a complete sovereignty and independence as a part of the great Arab nation. The Shaikh wanted the clause to state that Kuwait was independent under the British protection. The council rejected the changes suggested by the Shaikh and demanded unification with Iraq. The Shaikh declared a state of emergency, crushing the nationalist movement by killing many of its members and jailing the others. He issued a new constitution that confirmed the British-Kuwaiti relations. He also appointed a twenty-member legislative council whose decisions became laws only after approval by the Shaikh. Nevertheless, the appointed fourth council was dissolved in 1939. Then the Shaikh appointed the fifth council, which was composed of only eight members whose advice was not binding to him. Kuwaiti Arab nationalists continued their demands for unification with Iraq. Some prominent members of the movement, like Abdullah Al-Saqr, even participated in resisting the British second occupation of Iraq, which was led by Rashid Ali Al-Kilani, in 1941. The Iraqi policy of unification with Kuwait intensified after the military coup of July 14, 1958. This policy set the stage for the third Iraqi attempt to restore Kuwait in 1961. During the rule of Shaikh Abdullah Al-Salem (1950-1965) and his brother, Shaikh Sabah Al-Salem (1965-1977), the national democratic movement was not confrontational with the Shaikh. On January 20, 1962, a twenty-member elected constituent assembly drew up the present Constitution. On November 11, 1962, Shaikh Abdullah Al-Salem ratified the Constitution, which required a National Assembly to be directly elected by native-born adult males. The elections were held and the first National Assembly was elected on January 23, 1963. It was composed of 50 members who were elected to 4-year terms. The nationalists no longer demanded unification with Iraq but the democratic experience continued until 1976. The National Assembly was dissolved from 1976 to 1981. More specifically, the peaceful coexistence between the national democratic movement and the Shaikh came to an end after the present ruler, Jaber Al-Ahmed, had taken office, on December 31, 1977. A month later, on January 31, 1978, Shaikh Sa'ad Al-Abdullah became the Crown Prince and the Prime Minister, and Shaikh Sabah Al-Ahmed became Deputy Prime Minister and the Minister of Foreign Affairs. The three men have been ruling Kuwait absolutely, most of the time. They demonstrated no interest in keeping the democratic tradition when they faced their first national crisis. As soon as the 6th National Assembly was elected in 1985, the opposition in the Assembly and the press started criticizing members of Al-Sabah family for their responsibility regarding the collapse of Al-Manakh financial market and its consequences. On July 3, 1986, in response to these attacks from the opposition, the rulers of Kuwait dissolved the short-lived National Assembly, suspended certain articles of the constitution, and subjected the press to censorship. The government cited the Iran-Iraq war as its excuse to put democracy on hold. However, when the war was over in 1988, the Parliament was not restored. This led to public demands for the recall of the National Assembly. When the government ignored these demands, the opposition protested in the streets in 1989 and 1990. The government responded by cracking down on the opposition. The cycle of protests and government retaliation continued until May 15, 1990, just few weeks before the invasion. These protests may have contributed to the fourth Iraqi attempt to restore Kuwait on August 2, 1990. Also, the Kuwaiti government might have found in tensions with Iraq a way out of its internal problems with the opposition. This may explain its hard-line position before and during the Jeddah talks. The Iraqi leadership might have been deluded to believe that the Kuwaiti people may support the invasion as it would get rid them of Al-Sabah family. Oil revenues passed through three stages of change. The first stage was between 1934, when Kuwait produced oil for the first time, and 1973. In this stage, oil revenues were very small due to the cheap oil prices and the ownership of the oil industry by British and American oil companies. The average price of oil in 1973 was $1.63 per barrel and the total oil exports amounted to $1.7 billion for that year. By October 1, 1973, the prices of oil reached $2.90 per barrel. The second stage was marked by a Sudden and huge increase in oil prices. On October 16, 1973, as a result of the Arab oil embargo, the Organization of Petroleum Exporting Countries (OPEC) raised the prices of crude oil by about 70%. Prices kept increasing rapidly so that by January 1, 1974, the increase amounted to $11.50 per barrel, reaching about 300 percent increase. In 1975 the total Kuwaiti oil exports amounted to about $8.64 billion. In 1977, the Kuwaiti government became the sole owner of the oil industry in the country. Oil revenues increased to $8.9 billion that year. However, revenues almost doubled in 1979 reaching about $16.8 billion. In 1980, revenues increased slightly reaching about $17.9 billion as a result of an increase in prices of oil that reached $29.8 per barrel by May 1, and even $35 per barrel for a short time after that. Starting from 1981, oil revenues started to decrease reaching $13.8 billion in 1981, $7.5 billion in 1982, $8.7 billion in 1983 (Table 1.1), $9.89 billion in 1984/85 and about $9.52 billion in 1985/86. The third stage of change in oil revenues started in 1986/87 and continued until the Iraqi invasion in 1990. During that stage, there was a remarkable decline in oil revenues due to the decrease of oil production and the decline of oil prices. Oil revenues reached $5.61 billion in 1986/87, $5.85 billion in 1987/88, $6.05 billion in 1988/89, and $6.60 billion in 1989/90. The sharp increase in oil revenues, from $1.8 billion in 1973 to $8.6 billion in 1975 to $17.9 billion in 1980, resulted from the increase in oil prices that followed the 1973 October War and the Arab oil embargo that accompanied it. While oil revenues quadrupled in the coffers of oil-exporting Arab states, sharing oil wealth with the other Arab states stayed humble. Although the Kuwait Fund for Arab Economic Development was established on December 31, 1961, the less fortunate Arab states received only about KD302 million, from January 1, 1962 to June 30, 1977. Throughout the 1980s, surplus wealth increased in the oil-exporting Arab states. However, most of it was invested in the West. As a result, the gap between rich and poor Arab states increased, as discussed in Chapter IV. The above-mentioned three stages of change in oil revenues were reflected in the demographic changes in Kuwait, particularly the rapid population growth in the last three decades of the 20th century. During the 19th century, inhabitants of Kuwait ranged between 4,000, in 1821, to about 20,000, in 1865. In 1900, there were about 15,000 people in Kuwait city and about 20,000 in other parts of Kuwait. The population increased to about 35,000 in 1910, 75,000 in 1935, and 100,000 in the early 1950s. As oil wealth increased, the population also increased, particularly because of immigration. However, due to the government policy of denying immigrants the right to citizenship (Chapter III), the percentage of Kuwaiti citizens kept declining, making them a minority in their own country. According to the first 1957 census, the total population was about 206,473. Kuwaitis (citizens and Bidoons) were 113,622 constituting about 55 percent of the population. In 1961, the population increased to 321,621 people. Kuwaitis also increased to 161,909 but they constituted about 50.3 percent due to the rapid increase of immigrants in the country. In 1965, the population grew to about 467,339. However, Kuwaitis kept decreasing in percentage. They were 220,059 representing about 47.1 percent of the population. In 1970, the total population increased to 738,662. Kuwaitis were 347,396 representing about 47.0 percent. In 1975, the population reached 994,837. Kuwaitis were 472,088 constituting about 47.5 percent. In 1980, the population became 1,357,952. Although Kuwaitis increased to 565,613, they declined in percentage representing 41.7 percent of the total population. In 1985, the population increased to 1,695,128 and Kuwaitis also increased to 679,601 representing about 40.1 percent. In 1990, the population of Kuwait increased to about 2,142,600 people. However, the Government dropped the Bidoons from the Kuwaiti population. Thus, Kuwaitis decreased to 564,262 representing only about 26.3 (Table 1.2). These demographic changes were reflected in changes in the labor force. The total labor force in Kuwait was 688,446, in 1988. Workers from India and Pakistan constituted about 52 percent. Arab workers, including Kuwaitis, constituted about 47 percent. The rest were Europeans and Americans. Kuwaitis constituted only about 18.9 percent of the total labor force in 1985. Most Kuwaitis worked for the government, particularly in services, clerical jobs, and technical jobs. In absence of true democracy, loyalty of citizens to Al-Sabah ruling family was bought by the benefits provided by the welfare state. Oil revenues have funded a generous social welfare and employment system for Kuwaiti citizens. In 1976, the government passed the Social Security Law, which limited public assistance to Kuwaiti citizens. In the same year, the Future Generations Reserves Law was also issued allocating 10 percent per annum of the state revenues for the future generations of citizens. While the two laws ignored the contributions of non-Kuwaitis, they focused on showing citizens that the government cared for them. Moreover, the government subsidizes foodstuffs to citizens through direct distributions to ration-card holders and through Kuwaiti cooperative societies. Several forms of housing subsidies are also available for citizens, such as ready-built housing, monthly housing allowances, construction loans, and a KD 2,000 for newly married couples. The totality of these governmental policies resulted in creating an attitude of dependency among Kuwaiti citizens. The ruling family also co-opted dissent through ministerial positions, such as in the case of Jassim al-Khurafi in the 1980s, through financially and socially rewarding top positions in Kuwait and overseas, or through marriage relations. The state oil revenues were also used to maintain the patriarchal relationship between Al-Sabah ruling family and Kuwaiti merchants. An example was bailing out big dealers of Al-Manakh stock market, in 1982. However, this policy backfired this time. The crisis of Al-Manakh was mainly caused by irrational and wild speculations, which led to the use of forward contracts and post-dated checks to pay for them, during the period extending from 1976 to 1982. Under such contracts, two dealers would strike a forward deal at an agreed upon price, this premium increased by 20-30 percent per annum but reached 200-500 percent by the end of 1981 and the beginning of 1982. The Kuwaiti law did not recognize post-dated checks, thus a holder of such a check could not deposit it in his/her account or request cashing it. In the latter case, banks would hold the post-dated check until its proper date, before using it in an official transaction. During this period of waiting for the due time, post-dated checks were used by banks as a basis for granting credit, particularly if this was reinforced by the creditworthiness of issuers. However, banks were driven to the market as followers not leaders. Because the Kuwaiti law regulating forward trading was not properly enforced by the government, dealers could sell their shares and buy them several times thus making huge profits on only a forward contract, on companies that have never existed. By May/June 1982, about KD5 billion worth of shares were being traded in the market, and many of them were issued by offshore-registered Gulf companies. The daily volume of transactions reached KD14 million a day, with prices often doubling or tripling in a matter of weeks. The government did not interfere because it considered the whole market of Al-Manakh illegal; therefore, it was not concerned with regulating any trade conducted there. The crash was inevitable as many post-dated checks were due by spring 1982. A major dealer presented his checks before the five-day holiday following the month of Ramadhan, which precipitated the collapse of the market. When the government finally interfered, it was criticized in the National Assembly for letting matters get out of hand and for favoring large investors in compensation. But one of the largest eight dealers was a member of the Parliament, which impeded resolution of the main issues. The collapse of Al-Manakh stock market and the way the government conducted itself during the chaotic period that followed contributed to the 1986 parliamentarian crisis. People became angry when they saw the government taking care of big dealers, particularly members of the ruling family, while neglecting the majority of small-stock holders. The government was criticized in the National Assembly as well as in the media. When criticism increased against members of the ruling family, in 1986, the Emir of Kuwait dissolved the National assembly and imposed censorship on the media. In spite of that, the ruling family tried to convince Kuwaitis that they were taken care of through the generous social welfare programs, cooptation of dissent, and assistance to Al-Manakh merchants. Actually, these privileges succeeded in convincing Kuwaitis to be loyal to Al-Sabah family. Therefore, when Iraq tried to restore Kuwait for the fourth time in 1990, Kuwaitis did neither support the Iraqi invasion nor the Iraqi annexation of Kuwait. They knew that their privileges would not be maintained if they shared their oil wealth with the other seventeen million Iraqis. Although Kuwait has a Constitution, it does not give citizens the right to change the head of state or the head of government. The Emir even suspended the Constitution and ruled by decree. Moreover, systematic human rights violations are built in the system of government through a body of discriminatory policies that have targeted the weaker groups in society. The 1962 Constitution grants the Emir the right to suspend the National Assembly. But it obliges him to hold elections for a new Assembly within two months of the dissolution; otherwise, the old Assembly regains its authority until the new one is elected. However, the Emir suspended constitutional provisions by decree and ruled extra-constitutionally twice, from 1976 to 1981 and from 1986 to 1992. Thus, he was in violation of the Constitution in both cases. When these violations occurred, citizens could not do anything to address them legally or practically. Political parties are banned in an attempt to keep citizens fragmented, which makes it easier for the ruling family to rule. As a way out, Kuwaitis resort to informal groupings, known as diwaniyat. These are mainly based on family, tribal, or business ties. The ruling family does not mind the existence of such informal and small groupings because the result is a fragmented and weak population. Only political parties allow people to be strong enough to stand for their rights. The Press Law restricts the press from publishing materials that contain direct criticisms of the Emir, particularly that involve treaties and agreements with other countries. The Government owns and controls the Kuwait radio and television, which allows it to enforce its Press Law. Violators in the written media are punished by suspension, fines, and even prison. The ruling family has maintained its absolute rule by further division of the population into rival segments. Citizens are reminded with their privileges if compared with the impoverished and exploited immigrants and Bidoons. Men have enjoyed the discrimination against women and continued to resist any changes in the status quo. In 1999, the all-male National Assembly defeated two attempts to give women the right to vote. The law limits suffrage to adult males, who resided in Kuwait before 1920 and maintained a residence there until 1959 and to their adult male descendants. Naturalized citizens have to wait 30 years before they could be allowed to vote. In this way, suffrage is really limited to approximately 30 percent of citizens. In 1992, only about 82,000 eligible Kuwaitis registered to vote. These were almost the entire enfranchised male population. Immigrants do not exercise any political rights whatsoever, despite the fact that they constitute about 76 percent of the population (Table 2). This is the basic discrimination that has led to the basic division of the Kuwaiti society into citizens and immigrants, which will be discussed in details in Chapter III. In 1986, the Government restricted the right of Kuwaiti males to marry foreigners, decreeing that advance approval would be required. Kuwaiti women were publicly advised against marrying foreign nationals. Although it appears that the marriage restrictions apply to men and women alike, women are targeted for discrimination in both law and practice. First, they are denied the right to vote, which deprives them of the opportunity to address discrimination against them. Second, only men are able to confer citizenship to their wives and children, which means that children born to Kuwaiti mothers and stateless fathers (Bidoons) are themselves stateless. Third, Kuwaiti women married to non-Kuwaiti husbands receive no government housing assistance. Fourth, they must pay residence fees for their husbands and residence is not guaranteed for their husbands by marriage only. They have to get residence through their employers. In contrast, Kuwaiti men married to non-Kuwaiti women do not have to pay any fees for their wives, whose right to residence is automatic. Fifth, Kuwaiti women do not receive social security benefits. Finally, the Government has discontinued family entitlements to divorced women, since 1994, but continues to make such payments to divorced men. There are no local human rights organizations legally functioning in Kuwait. In August 1993, the Council of Ministers passed a decree stating that all unregistered nongovernmental organizations (NGOs) must cease operations. The objective was eliminating some organizations that have been engaged in human rights work. Any new NGO must obtain an official permit. However, the Government has granted no such permits for NGOs, since 1985. The exception was a permit issued in 1991 for the Women’s Volunteer Association, because it was headed by the wife of the Crown Prince. The absence of human rights groups has allowed the Government to hide its human rights violations as well as its discriminatory policies against immigrants, Bidoons, and women. This absence served the Government well after the 1991 Gulf War, when Kuwait’s security forces committed terrible atrocities against Bidoons and immigrants, particularly Palestinians, Jordanians, Iraqis, Yemenis, and Sudanese (Chapter X). Reports from a small number of journalists and human rights groups continued, in 1992 and 1993, about arbitrary arrests at checkpoints and homes. As a tactic of harassment, many immigrants would be taken from their homes, held and interrogated for few hours, then released. The objective was terrorizing them so that they would leave the country voluntarily. There were also credible reports of torture and abuse in Kuwaiti detention facilities throughout the 1990s. This included physical abuse, particularly beating, burning with cigarettes, slapping, kicking, shoving against walls, and using electric shocks. According to the Government, the number of people who were held in detention pending deportation was 650 in 1993, 400 in 1994, 500 in 1995, 1000 in 1996, 600 in 1997, 110 in 1998, and 120 in 1999. About 10 percent of these persons had been in detention for more than 1 year, some of them for up to 5 years. The abuse and torture usually precede detention and deportation. But it would not be detected because there were no trials or investigations from human rights groups. More important is that these small Government’s figures about detention and deportation should not obscure the massive terror campaign that followed the 1991 Gulf War. Thousands of people were killed, tortured, and raped before they were detained and deported. That campaign resulted in the deportation of hundreds of thousands of Arab immigrants, particularly Palestinians (Chapter X). In addition to the terror campaign against Arab immigrants and the discrimination against Kuwaiti women, foreign workers have been subjected to systematic discrimination that has made them the most exploited in the country. Foreign workers constitute the vast majority of the workforce in Kuwait, reaching about 1,271,000, in 1998. However, they are severely exploited and discriminated against. The International Labor Organization’s (ILO) Committee of Experts reiterated in 1993 its longstanding criticisms of a number of discrepancies between the Kuwaiti Labor Code and ILO Conventions 1, 30, and 87. The areas criticized by the ILO included the prohibition on establishing more than one trade union for a given field, the requirement that a new union must have at least 100 workers, the requirement that foreign workers must reside in Kuwait for 5 years before joining a trade union, the denial to foreign trade unionists the right to vote and to be elected, the prohibition against trade unions engaging in any political or religious activity, and the revision of trade union assets to the Ministry of Social Affairs and Labor in the event of dissolution. A striking area of discrimination against foreign workers is minimum wage in the public sector, administratively set by the Government. In 1995, it was approximately $774 a month (226 dinars) for citizens and approximately $315 a month (90 dinars) for non-citizens. Thus, the minimum wage for non-citizens is only about 40 percent that of citizens. This formal discrimination from the Government has been a model to follow by employers in the private sector (More details about discrimination against foreign workers are documented and discussed in Chapter III). More exploitation of foreign workers has targeted the most impoverished and the most vulnerable among them, the indentured workers. In 1999, there was a widespread visa trading. This is a system by which sponsors agree to extend their sponsorship to workers outside of the country in exchange for a fee of $1,500 to $1,800. Middlemen use the promise of Kuwaiti sponsors to attract workers from poor countries, taking commission and remitting the rest to the nominal Kuwaiti sponsor. Once in Kuwait, such workers are left on their own to find jobs in the informal sector. Sooner or later, these workers discover that they face possible prosecution for being engaged in illegal employment, as they work for an employer other than their sponsor. In addition, they are extremely vulnerable to extortion by employers, sponsors, and middlemen. The historical evidence demonstrates that Kuwait was an Iraqi territory until World War I. That is why successive Iraqi governments never fully recognized the independence of Kuwait. However, Kuwait has developed as an independent entity under British protection. The oil wealth has enabled Kuwait to develop irreversibly into an independent state with formal ties with its neighbors, including Iraq. Thus, the conflict between the historical rights of Iraq in Kuwait and the realities of the Kuwaiti state contributed to the continuing crisis between the two Arab states throughout the century. The political system is tailored to protect the privileges of the ruling family and members of the wealthy merchant class in the country. The ruling family has depended on the support of male citizens in denying the vast majority of people their basic human rights. Kuwaiti women are discriminated against in politics, marriage, and state benefits. The Bidoons and immigrants are denied permanent residence and citizenship in an attempt to deny them any political participation and access to benefits enjoyed by citizens. Following the War, human rights abuses escalated to the level of a terror campaign against non-citizens. The Government was shielded from criticism by the lack of local human rights groups and restrictions on the activities of international groups. In addition, the Government took advantage of the sympathy of the coalition countries, which did nothing to stop the major 1991 terror campaign and the other abuses throughout the 1990s. The most important finding of this chapter is that the 1990 Iraqi invasion of Kuwait was an attempt to restore an Iraqi territory. Seeing the invasion from this perspective was missing from the public discourse in the U.S., between August 2, 1990 and January 17, 1991. Also missing from the public discussions was the relationship between Kuwait and Saudi Arabia, which led the Saudis to take the Kuwaiti side instead of being neutral. The Kuwaiti-Saudi relations will be the subject of the following chapter. Kuwait was Sabah I, son of Sabah Jaber. The purpose of writing this honorable agreement is to finalize the obligation and agreement between Lieutenant Colonel Malcolm John Mead, Her Majesty's Political Resident, on behalf of the British Government as a first party and Shaikh Mubarak Bin** Sabah, Shaikh of Kuwait, as a second party. Shaikh Mubarak, with his free will, pledges to obligate himself and his heirs in office not to receive any agent or representative of any authority or government in Kuwait or in any other place within the boundaries of his territory without the previous consent of the British government. In addition, he obligates himself, his heirs, and his successors in office not to cede, sell, lease, mortgage, or give for any purpose any part of his territory to any government or subjects of any authority without the previous consent of Her Majesty's government on these issues. This agreement extends to any part of the territory that belongs to the above-mentioned Shaikh Mubarak Bin Shaikh Sabah, which may be possessed by subjects of any other government. As a symbol of friendship upon concluding this legal and honorable agreement between Lieutenant Colonel Malcolm John Mead, the Political Resident of Her Majesty's government in the Persian Gulf, and Shaikh Mubarak Bin Shaikh Sabah, the first party on behalf of the British government and the second party on behalf of his heirs and his successors sign this agreement in the presence of witnesses on the tenth day of Ramadhan of the year 1316*** which corresponds with the twenty-third day of January, 1899. 322), and Al-Farhan (1960: 124). ** "Bin" means "son of." First, reforming Al-Sabah family so that they may not disagree on appointing a ruler. Second, the candidates for the ruler's office are shaikh Ahmed Al-Jaber, Shaikh Hamad Al-Mubarak, and Shaikh Abdullah Al-Salem. Third, if anyone of the three candidates, is agreed upon, the choice should be ratified by the government. Fourth, the chosen shaikh becomes the chairman of the consultative council. Fifth, a number of people are elected from Al-Sabah (family) and others to conduct affairs of the country on basis of justice and fairness. Years 1963-1983 (except 1975, 1977). ** Al-Jassem (1981:32-36): Years 1975, 1977. # The total represents years 1974-1996. It does not include 1963, 1970, and 1973. Tables 11 and 12 (Cited in Crystal, 1992: 50). 1989. Human Rights Watch (1995: 11-12).
. The Arabic word "Al" and its other variant "El" have two major usages. It is used with common names in general as a definite article. When it is used before the last name of a person, it may mean "the lineage of'," or "the house of." Thus, Al-Sabah means the Sabah , the lineage of Sabah, or the house of Sabah. However, while the Arabic definite article is always written as Al or El, the letter "l" is not always pronounced. The word that means "the sun," is written as "Al-shams," but prouounced as "Ash shams. The word that means "the moon," is written as "Al-qamar," and also pronounced as "Al qamar." The dash (-) is used to link the definite article to the word that it defines.
. The Utub tribe may also be called Benu (or Beni) Utba. The "tribe" is the socio-political system of organization in the Arab pastoralist society. It is composed of several lineages, each of which is composed of several households. A household contains a man, his wife and children, that is his nuclear family, and all his married sons and their nuclear families. When a father dies, the eldest brother becomes the head of the household. .In spite of the fact that this is the exact pronunciation of the word, many authors write it as Najd. Throughout the book, I write Arabic words as pronounced by Arabs. Thus, my usage of Arabic words may be slightly different from the transliteration used by some non-Arabic speaking writers or Arab writers who follow them.
. The earliest Arabic reference to "El-Kadhema" was in 623 A.D. when it became the site of the famous battle known as "That As Salassel." The battle took place between Arab Muslims, who were led by Khaled Bin Al-Walid, and the Persian Sasanite army (Al-Farhan, 1960: 80; Kuwait Ministry of Information, 1986: 12). Following the 1990 invasion and annexation of Kuwait, the Iraqi government started referring to Kuwait as El-Kadhema. The objective was to remind the world of the name of Kuwait before Al-Sabah were allowed to take refuge in it. More important, it was a reference to the relationship between El-Basrah and El-Kadhema. While some authors write the old name of Kuwait as El-Kazima, others write it as El-Kathema. None of them represents the correct pronunciation of the word in Arabic as pronounced by Iraqis and Kuwaitis. The Arabic sound that has caused this inaccuracy of transliteration has no equivalence in English. It is somewhere between "the" and "dh." Consequently, both of Kadhema and Kathema are closer to the Arabic pronunciation than Kazima, which is used by those speakers of Arabic who find it difficult to pronounce the sound "the," such as Egyptians, Sudanese, and urban Lebanese, Palestinians, and Syrians.
. This may explain the Bahraini support for Kuwait as a paying back of an ancient debt to Al-Sabah.
. A "shaikhdom" is a term that describes a political entity that is somewhere between a tribe and a city-state. It may represent an alliance of tribes headed by the shaikh of the strongest tribe. Other Arab Gulf shaikhdoms were Bahrain, Qatar, Abu Dhabi, Ajman, Dubai, Fujairah, Ras Al-Khaimah, Al-Shariqa, and Um Al qiwin. The latter seven shaikhdoms became united in one state known as the United Arab Emirates (UAE), in 1971.
. The most common Arab tradition in choosing a new shaikh is by accepting the eldest son of the deceased shaikh. However, this tradition triggered a high rate of assassinations. Ambitious members of the ruling families who do not descend directly from the ruler would be excluded. Therefore, the only way for them to become rulers has been by assassinating the ruler or his expected heirs. A way out of this problem of violent succession was leaving the election of the new ruler till after the death of the ruler. This led to the election of other ambitious members of royal families than the eldest son of the deceased ruler. In the case of Al-Sabah of Kuwait, the only assassination as a way to take power was when Mubarak killed his two brothers in 1896. Other than that, succession was never a serious problem. When Shaikh Sabah II died in 1866, his son Abdullah II became the Shaikh. However, when he died in 1892, his brother Muhammed became the Shaikh instead of his son. After Mubarak's death in 1915, his eldest son, Jaber, became the Shaikh. This was followed by his brother, Salem, in 1917. Salem was followed by his nephew, Ahmed Al-Jaber in 1921 who was followed by his cousin, Abdullah Al-Salem in 1950. Abdullah was succeeded by his brother, Sabah Al-Salem in 1965 who was followed by his cousin, Jaber Al-Ahmed, the present ruler, in 1977 (See Appendix A).
. Al-Rashid family was the traditional rival of Al- Saud. When the Rashid-led forces attacked Mubarak's Kuwait, the Sabahi-Saudi alliance became stronger. Later on, when Abdul Aziz Al-Saud defeated Al-Rashid and established the Kingdom of Saudi Arabia, he chose one of his wives from his previous rival Shammar tribe as a gesture of reconciliation. Prince Abdullah, the present Crown Prince of Saudi Arabia is the son of that Abdul Aziz's Shammar wife, Fahda Bint Assi Shuraim.
. Faisal Bin Husain became the King of Syria following World War I, as a reward for him and his family for their role in supporting the British military efforts against the Ottoman government during the war. However, following to his defeat in fighting the French occupying army, he was thrown out of the throne. In 1920, Iraq was placed under the British mandate. The British called Faisal to compete for the throne of Iraq against three other candidates in a popular referendum (plebiscite). The Iraqi government, which was headed by Abdul Rahman Al-Kilani, declared him King of Iraq on August 23, 1921, after he had won about 96 percent of votes. Thus, Iraq became a democratic and constitutional monarchy. Faisal was already very popular as the leader of Arab nationalists who led the struggle against the Turks in Arabia and the French in Syria. In 1922, Britain recognized Iraq as an independent state with special relations between the two counries. In 1930, the Iraqi Prime Minister, Noori Al-Sa'id, signed a new agreement with Britain that allowed the country to become a member of the League of Nations. In return, the British were given the right to stay in two military bases in Iraq for 25 years (Al-Mardini, 1980: 127-130).
. In 1999, the all-male Kuwaiti Parliament rejected the Emir=s decree to give women the right to vote. Thus, they continue without political rights like the Bedoons and immigrants in the country.
. The opposition leader, Hamad Al-Jaw=an, led a questioning in the National Assembly of the Minister of Justice, Shaikh Sulaiman Du=aij Al-Sabah. The Minister was accused of favoring big shareholders when the government started to compensate people for their losses resulting from the collapse of Al-Manakh financial market. The questioning eventually led to the resignation of Shaikh Sulaiman (Roth, 1991: 29, 32-33).
. The Kuwaiti Dinar was worth of $3.397 in 1985.
. The sharp decrease in the number and percentage of Kuwaitis is attributed to the change in government statistics which used to include the Bedoons as Kuwaitis before 1989 (See Table 2). In May 1997, a group of 75 citizens established a political grouping, the National Democratic Association (NDA). The Government denied them permission to hold an open meeting in a public place. So, they had to meet in a private office (U.S. Department of State Annual Human Rights Reports, 1997). U.S. Department of State Annual Human Rights Reports, 1993. U.S. Department of State Annual Human Rights Reports, 1993- 1999. U.S. Department of State Annual Human Rights Reports, 1999.